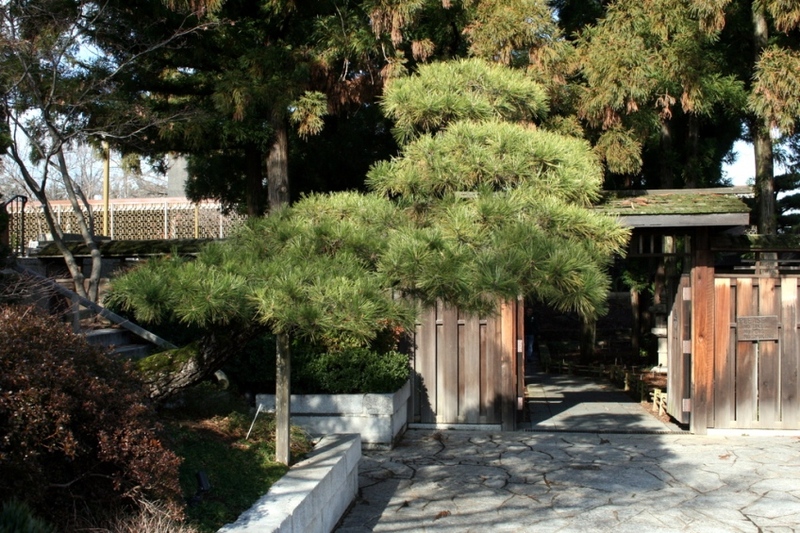 As you approach the entrance to the National Bonsai and Penjing Museum you are welcomed by a large Japanese Black Pine. 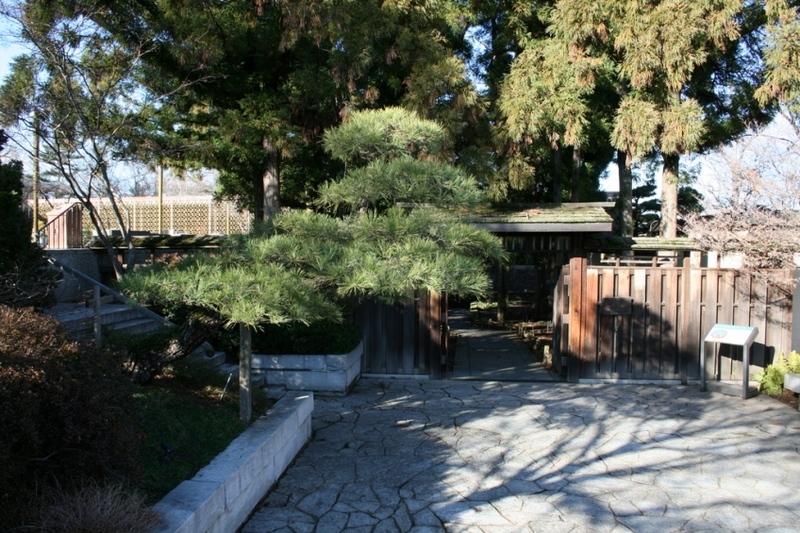 This pine was one of six sent from Kyushu University in Japan, the other 5 can be found in the Kato Stroll Garden outside the Japanese Pavilion. 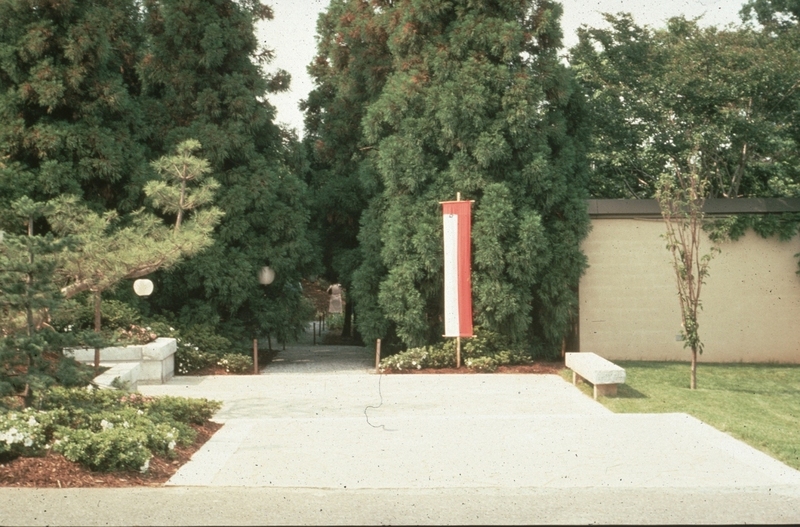 This pine was planted in 1984 as part of the garden in front of the Museum named in honor of Ellen Gordon Allen, founder of Ikebana International. 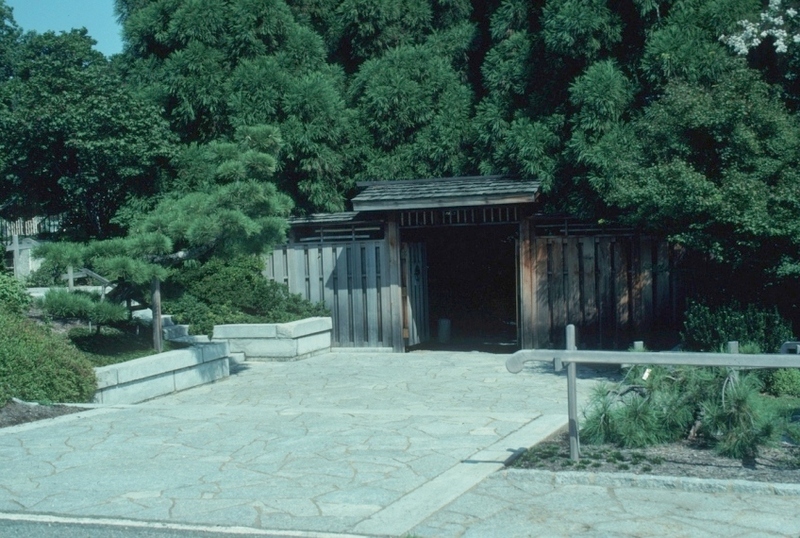 This photo shows the pine sometime in the early 90’s. 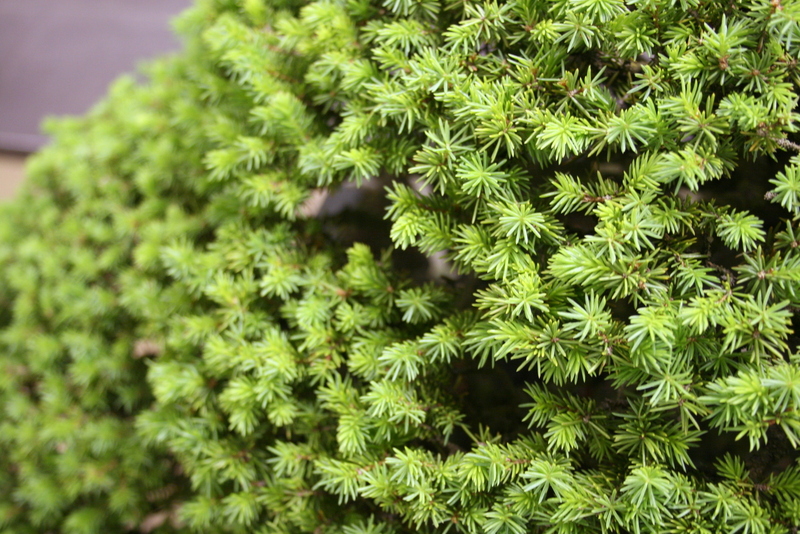 The pine has developed denser foliage pads as a result of yearly decandling and proper pruning techniques. 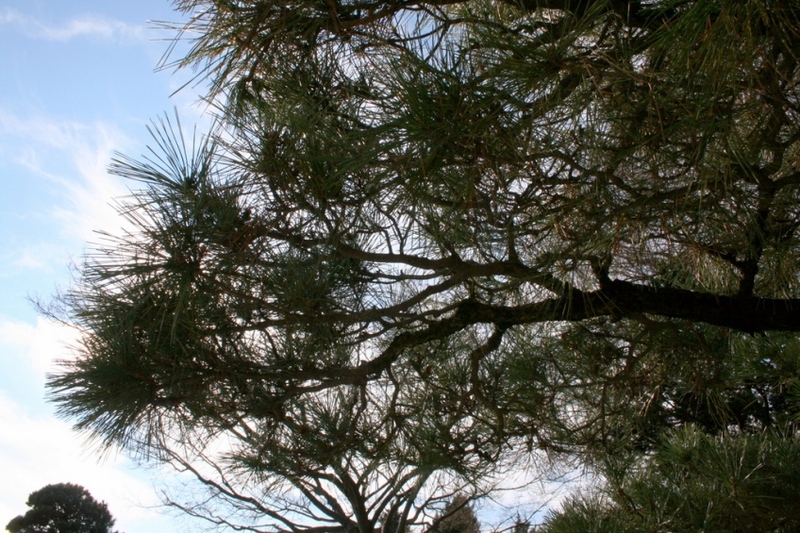 Winter is the best time to prune pine bonsai and the same is true for pines growing in the ground. Typically this is very cold work but on an unseasonably warm 60 degree day Curator Jack Sustic, Museum Gardener Amy Forsberg, Volunteer Bridget Singletary-Goodwin, and myself spent the afternoon pruning this prominent pine. 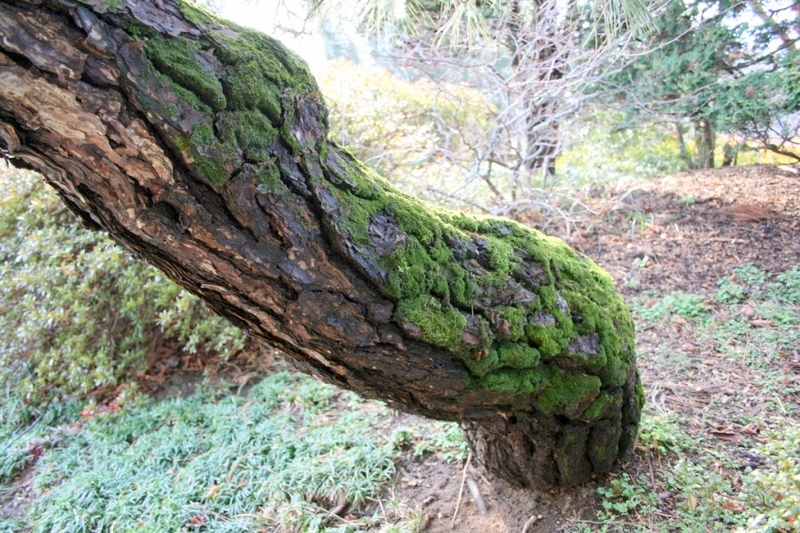 Over the last 30 years the tree has developed very nice flaky bark with deep fissures. 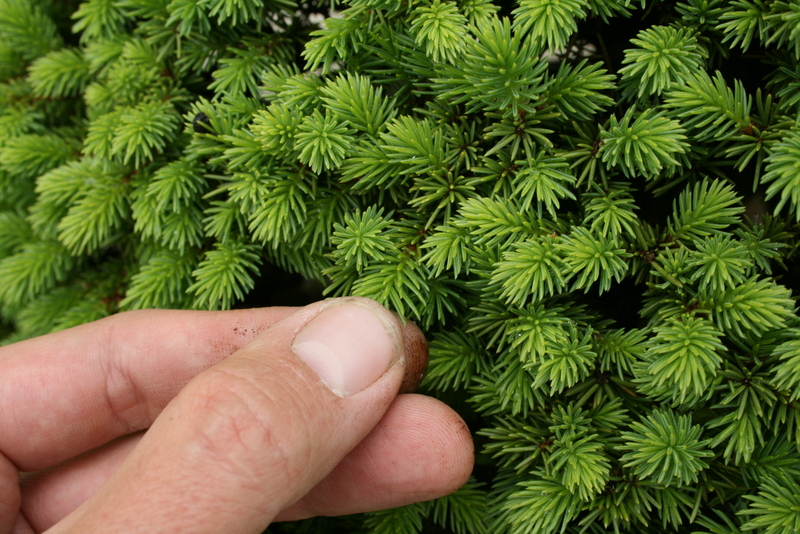 Your goal when pruning ornamental trees is the same regardless of the size of the tree. 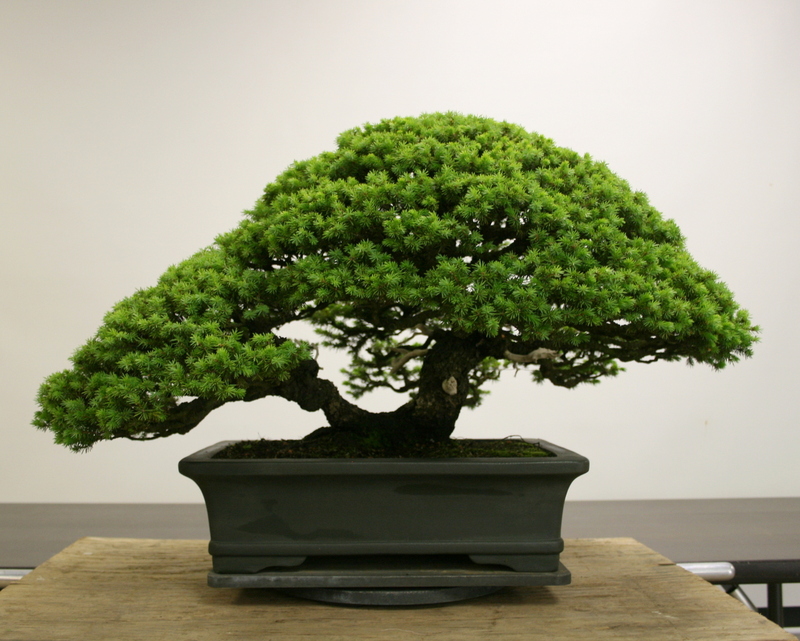 You want to eliminate branches that are detrimental to the design and health of the tree. 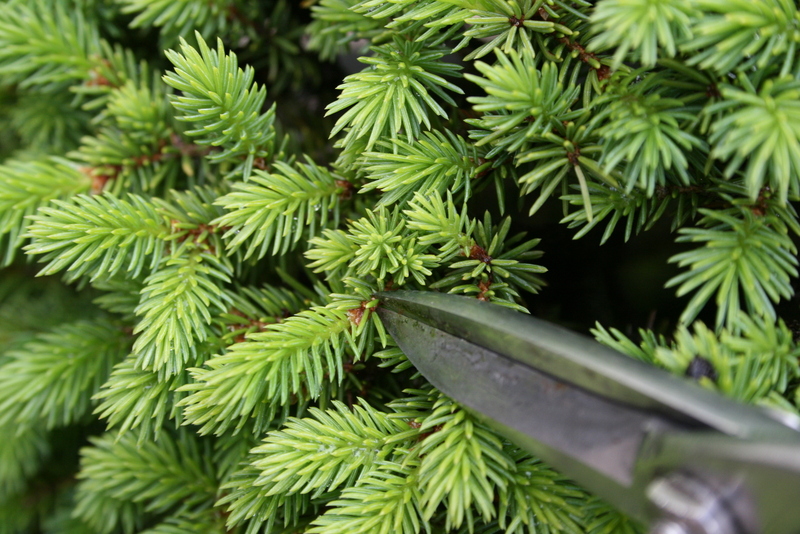 Pruning helps you keep strong branches in check so that weaker branches don’t die off. 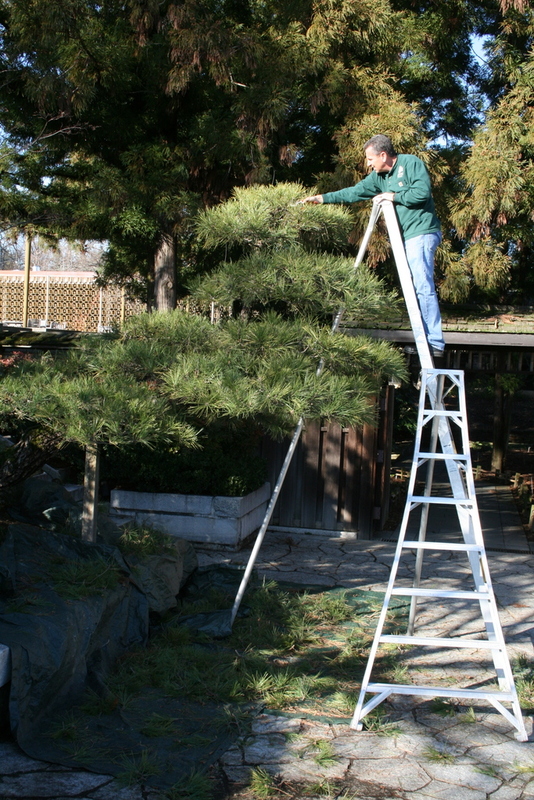 Since pines are the most vigorous at the top, Jack had plenty to prune. 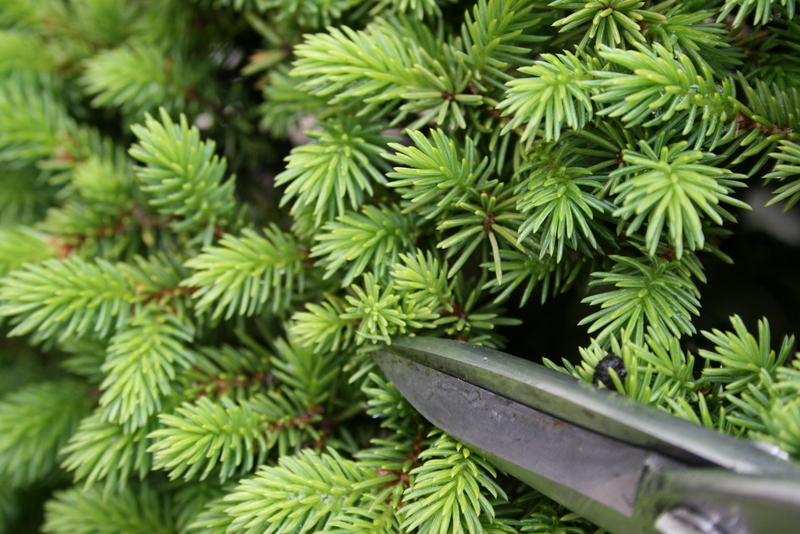 Pruning also allows sunlight and air to get to the interior parts of the tree which is essential for encouraging adventitious buds. 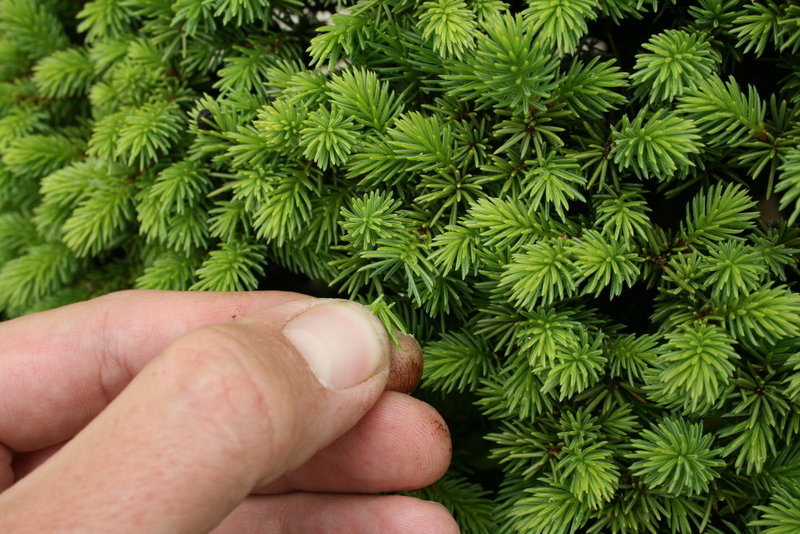 Without back budding you cannot keep a tree compact which is important in both Japanese gardening and bonsai. 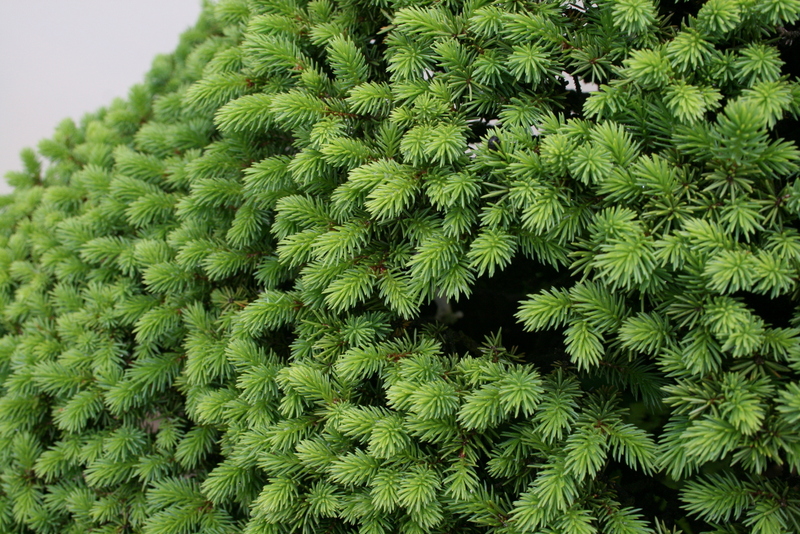 As you can see, very little sunlight can penetrate through the pine needles. 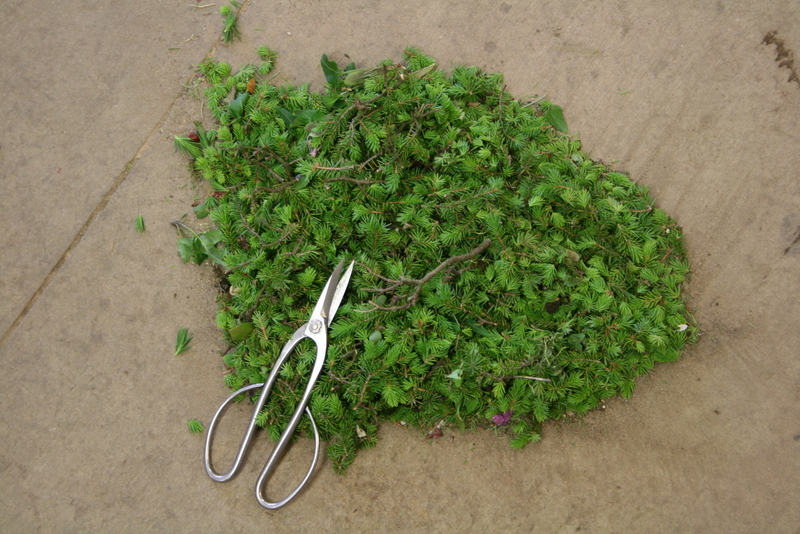 Once pruned, sunlight and air can now reach the inner parts of the same branch. 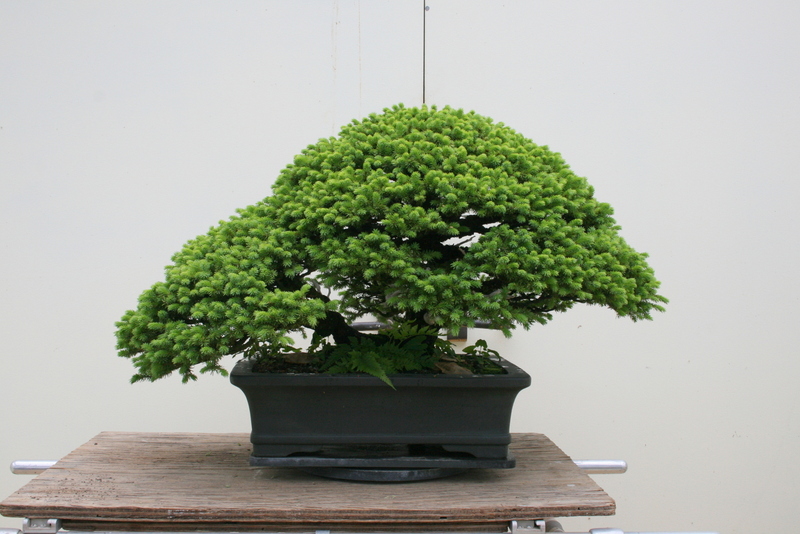 With the pruning done, you can see how the branches pads have become more defined. You can also see that the second pad from the top needs to fill in more on the left. 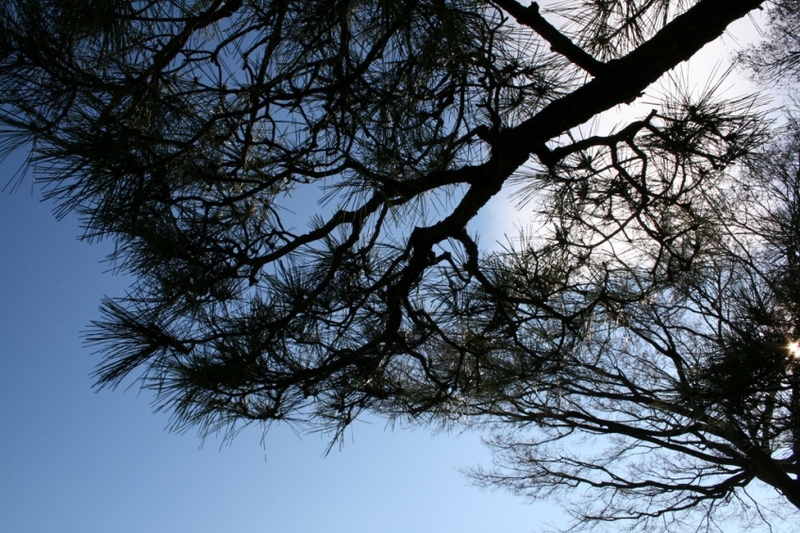 This summer, the tree will be candled except for the upper left branch which will be allowed to grow and fill in the silhouette. Be sure to stop and appreciate this specimen the next time your at the Museum.